If you haven't read the book Ready Player One by Ernest Cline, I highly recommend it. The domain name of this site is a slight misspelling of the main character's avatar, Parzival, that exists in the OASIS, an online virtual universe. 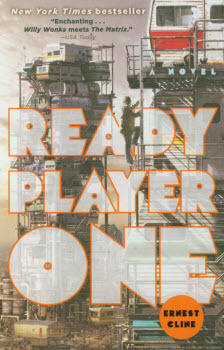 The name of the main character in Ready Player One is Wade Owen Watts (WOW). According to the story, he selected his avatar's name from a medieval poem written by Wolfram von Eschenback that portrays Parzival as an Arthurian knight who dedicates his life to the quest for the holy grail. For my purposes, this creates a link both to Ready Player One and to one of my favorite (and quotable) movies, Monty Python and the Holy Grail. Hence the use of the name for this site and the grail symbol in the logo at the top of the page. A film adaption directed by Seven Speilberg just hit theaters. Although it has the same theme as the book, it's a different story. Regardless, it's a great movie. Go see it! The photos on this page were taken with a DJI Phantom at locations in Tennessee and Georgia. © 2019 Chris Shumate, All Rights Reserved.